Though most of the gadgets have a shelf life of more than six months, they all become outdated eventually. When the constantly growing technology forces you to send your expensive gadget in junk drawer, you can opt to recycle it into highly powered device. Why waste extra £70 for Kindle if you can have decent tablet which is kept aside and just piling on dust. It may not be as light as E-ink offering of Amazon but iPad’s brighter, bigger and better performance makes it alternative for any other modern device. If reading graphic novels or reading pages of text on iPhone strains you then iPad will act as a nice dedicated reader. 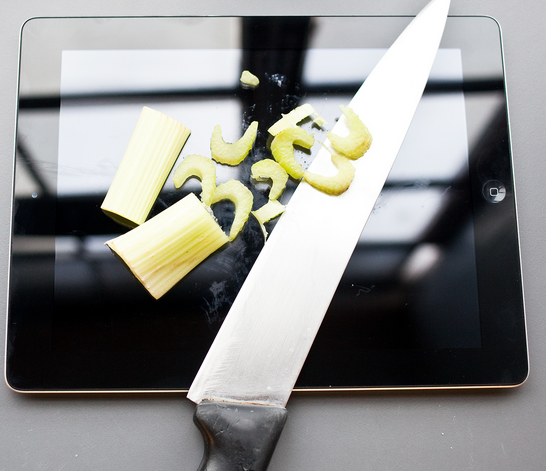 Your outdated iPad can also help you to save some kitchen space by replacing your cooking tomes. You can load your preferred cooking app such as Big Oven to get sizable collection of recipe. This kind of app also helps you to organize your recipes and offers more than 200,000 online cooking projects. Though the old iPad can’t meet the quality of your latest laptop considering its processing power, it is still valuable as a tactile input device with Air display and wireless extension of computer screen. An investment of $10 in App will extend the desktop with multiple wireless iPads. The app will also let you to utilize touchscreen interface of tablet in conjunction with mouse and keyboard. One can even use digital keyboard of iPad instead of physical one in case you prefer. Have you taken some efforts to setup and load your iPad as a highly portable yet entertainment device? If your answer is no, then this can be a great idea and there are high chances that you can use it to keep your kids busy while on very long road trip. You can keep it attached to back of the driver’s seat so that it will not create any impact on driving. Out of Amazon prime, iTunes, Hulu and Netflix, your tablet is well equipped with plethora of entertainment alternatives. You just need to fit a well adaptable screen to it. If your device is running on iOS 4.3 or later versions, you can utilize Airplay mirroring to fetch your content on any compatible television. Your iPad can provide you another easy way to bring back historical years of your tablet as a repository of memories. iOS offers native picture frame app which can organize, display and recycle your digital photos. You just need to tap the little flower in right corner of iPad screen in order to activate this slideshow. A user can also slide transition, duration and designate any albums to pull necessary images from Picture Frame tab on the required screen. This might sound crazy, but always remember digital picture frame may cost you more than $200. Following above tactics can definitely save you significant cost as it will directly help you to keep away from the risk of buying other costly tablet. You will definitely feel happy to see your old favorite device running again. Very helpful article for guy like me who is using iPad since long time. Can we have more such tips related write ups.